Anyone familiar with the Star Trek franchise (TV, film, books) will know the academic exercise taken by all Starfleet cadets, a confrontation with the no-win scenario. Famously, on his third attempt James Tiberius Kirk rigs the test by reprogramming the computer. Kirk is awarded for “original thinking”. I can’t claim the life-threatening scenario which the exercise presents, nor can I point to any certification of original thinking. What I can claim for Agincourt is having reprogrammed the computer. Architectural typologies like banks circa 1880-1920 and Carnegie-era libraries are ubiquitous in the American cultural landscape. Did you know that Carnegie underwrote more than 1,800 public libraries? And that Indiana had a staggering 114 of them? So many libraries of similar size designed by a hundred or more architects in a twenty-year period were destined (doomed?) from the outset to produce a family resemblance. How could it have been otherwise with such a simple program: 1) a suitably formal entry vestibule; 2) central lobby with librarian’s desk and card catalogue; 3) adult reading room (usually with current periodicals); 4) children’s reading room; 5) stacks (often only staff accessible); and 6) a multi-purpose lecture room/gallery; and, of course, the requisite accommodation for mechanics and bodily function. A non-architect could easily organize these elements into a logical workable plan—though, it’s surprising how many architects had difficulty with the exercise. 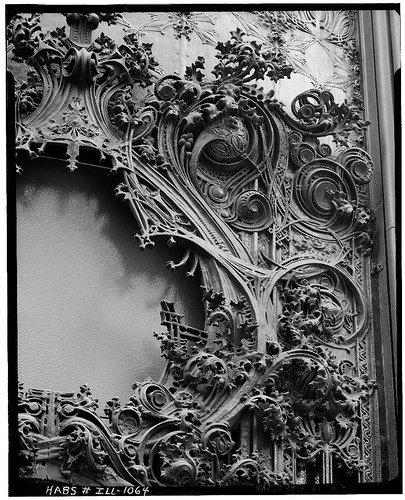 Louis Sullivan would have made short work of the challenge and got about the business of exploiting its masses for the potential of organic expression (read “ornament”). On the reverse of a business card among the Sullivan papers at the Art Institute of Chicago, there is an LHS thumbnail sketch for a Christian Science church—an idea that might have lent itself to the needs of a small public library. That is, I could have cheated and moved on with my life. 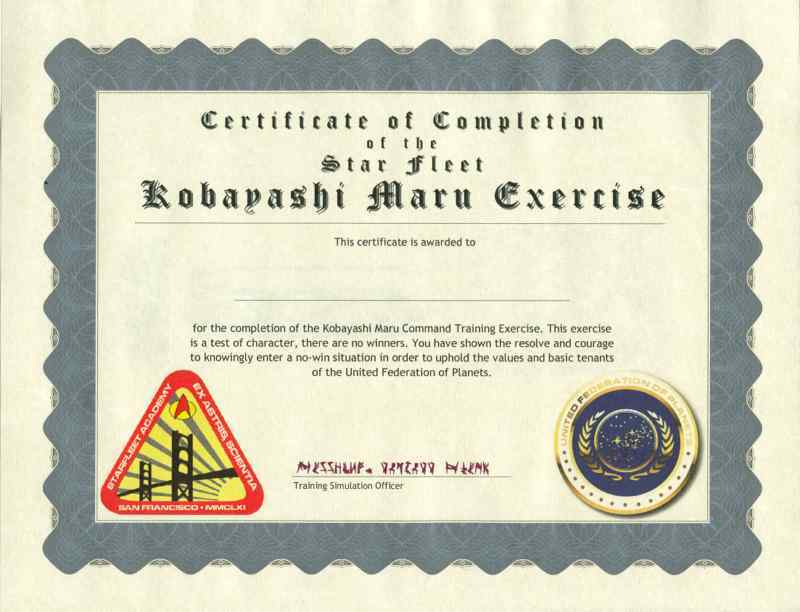 Instead, what I chose to do (in retrospect, my own version of the Kobayashi Maru exercise) was to change the nature of the program: to make it a more complex functional challenge and reduce the predominance of ornament—which, of course, I can’t do; ornament, that is. Have you tried to draw like Louie? Sit down and have a hand at it some time. Like Sullivan’s mentor H.H. Richardson—”I’ll design anything a client wants, from a cathedral to a chicken coop”—Louie might have been content to show off (and show up) his architectural brethren by accepting this simple program and transsubstantiating it: making body and blood from mere bread and water. But I can also imagine Sullivan challenging the orthodoxy of his client’s request. Why waste, for example, fifty feet of prime frontage on Broad Street? Why not lift the library functions away from the hurly-burly of a busy street to the relative calm of a piano nobile with excellent views to the south across a public park? Why not build a plinth of commercial rent-generating space and allow the library to, in a sense, become self-supporting? Sullivan was certainly a little-D democrat, if not an outright big-C Capitalist. Happily, in the meantime, along came Amity Burroughs Flynn (widow of half-term Agincourt mayor Ed Flynn and now the community’s maven of the arts). Mrs Flynn’s “GAR Exhibit” in the Fall of 1912 had stirred something in Agincourt’s soul, a craving for the arts. She had already made a pitch to the library board for the inclusion of a gallery. And they, businessmen all, made Capitalist sense of it by re-crafting that basic Carnegie-esque program into a hydra that any architect would embrace: a) a public library; b) a commercial financial institution; and c) a gallery and community center. Then cram all of that onto a fifty-by-one-hundred-forty-foot lot at “100% corner”—available thanks to the convenient removal by fire of the Masonic Lodge. Here was a provocation worthy of Sullivan or any of his disciples. By agincourtiowa in Uncategorized on Wednesday/30/April/2014 .